Over the past four months, I have had the pleasure of working with DelJean, owner and floral designer of Flowers & Thyme. She and her local Springfield, Oregon flower design company are always such a joy to work with. We collaborated on a beautiful bridal photoshoot at Deep Woods Events, along with my own personal branding photoshoot, and at both, the flowers were absolutely stunning and designed just as I envisioned. DelJean has an eye for design and such a keen knowledge of flowers that always inspires me! Learning from her professionally and personally has definitely been a highlight of my year. 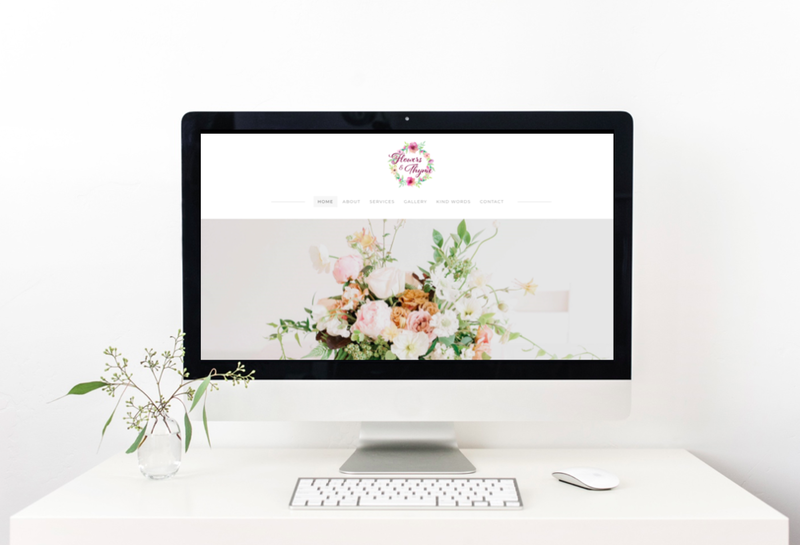 Now after working and learning from DelJean, over the past two months, I have designed a new website for Flowers & Thyme, and we are so excited to launch it today! DelJean has so much to offer, and I hoped to showcase this as nicely and seamlessly as possible. Feel free to browse her new website here and let DelJean know if you have any questions about her flowers and services! She is so talented, and I am so lucky to call her a mentor and good friend. Make sure to contact her for any of your floral needs; she will not disappoint.